The meditation app's quirky animations have generated a legion of fans. Andy Puddicombe’s voiceovers for Headspace, the guided meditation platform he cofounded eight years ago, aim to put users in a thoughtful, receptive state of mind. Last year, to make its programs more accessible to the masses, the company teamed up with production house Nexus for a series of animated videos. Puddicombe, a former Buddhist monk with encyclopedic knowledge of the subject matter, narrates the short films. 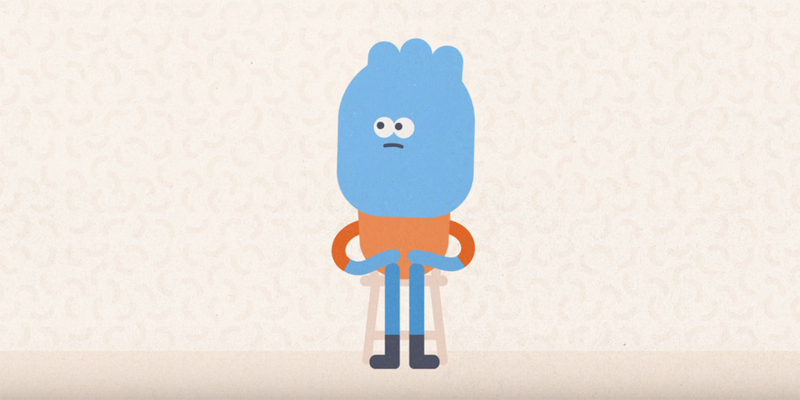 In “Letting Go of Effort,” the most watched Headspace clip, with more than 28 million views on YouTube alone, Puddicombe advises viewers that driving yourself hard doesn’t always yield the best results. Sometimes, he says, it’s better to “let go of any idea idea of needing to achieve something or get somewhere” to clear the mind and sharpen the senses. All told, Puddicombe has narrated 40 videos included on the Headspace app. Sixteen of those clips, each slightly more than 1 minute long, are also posted on YouTube, where they’ve generated 85 million combined views so far. “I think the fact that most of the recording work I do is unscripted makes a big difference, so it feels more natural and conversational." Throughout the series, Puddicombe’s relaxed, earnest vibe really shines. He seems like your favorite teacher speaking off-the-cuff after class, or a trusted friend you’ve met at the pub for some guidance on the path to enlightenment.